Before they became all the rage among fashionistas, rubber boots or wellies were traditionally worn by fishermen, farmers, soldiers, and other tough guys who were frequently exposed to muddy terrain and wet weather. However, that all changed when supermodel Kate Moss was spotted wearing Hunter rain boots during the Glastonbury Music Festival in 2005. The “Kate Moss effect” happened, kicking off the Hunter boots and wellies trend. Since then, Hunter boots have become the choice footwear for music festivals. 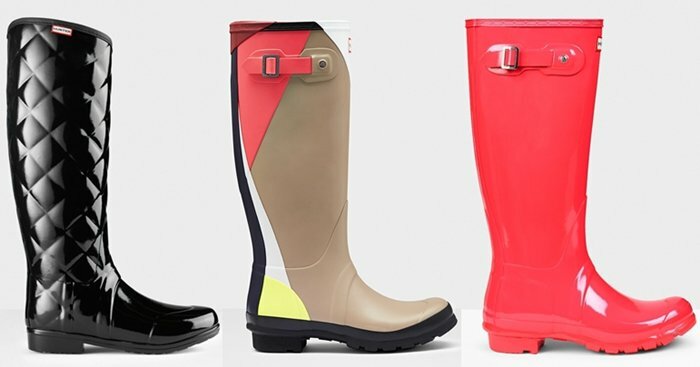 In addition to being trendy, rubber boots protect your feet and legs from mud and rain puddles. 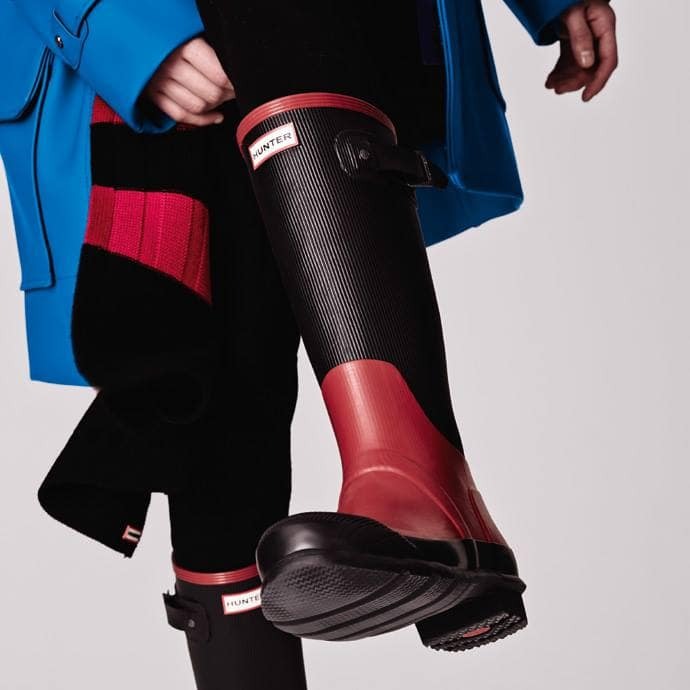 Buying Hunter boots from authorized retailers like Nordstrom and Zappos is arguably the simplest way to ensure that you get the real thing. Be particularly careful if you plan to buy boots on eBay. While Hunter boots are most popular at music festivals, some celebrities have also incorporated them into their regular wardrobes. The first thing to check is the label. Original Hunter boots display the Hunter logo on the front of the boots. The logo should have bold, black block letters on a white rectangular label with red borders. The print should look clear and readable, with no blurry lines and faded colors. Also, the silver buckled straps should also have a Hunter logo etching. Genuine Hunter boots are made of high-quality vulcanized natural rubber. The outsoles are decorated with a zigzag pattern and deep treads for better traction on wet surfaces. The insoles are multilayered and cushioned, with a distinctive orthopedic design for optimal comfort. So, take a few minutes to try on a pair before buying it. Try to get a feel of how comfortable the boots are on your feet, and check if they match the description. One of the best ways to tell a fake from a genuine is by feeling the product in your hands. 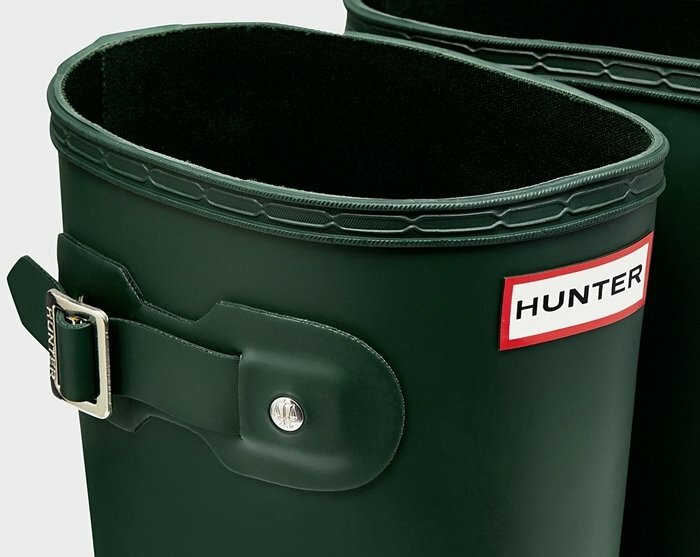 Because they’re made of vulcanized rubber, Hunter boots can feel pretty heavy. An original pair of Hunter boots weighs about 4 pounds, while imitations weigh a lot less because they’re made of cheap rubber. Cheap rubber can also feel very rough, while high-grade natural rubber is a lot smoother. Hunter’s original tall boots usually have 10 classic colors, but there are seasonal styles that add more colorways to the mix. Visit the brand’s website to check and compare the styles so that you can be sure that you’re getting the real deal. The color or gloss should look even (without any breaks) on all sides. Counterfeiters often try to imitate the most popular colors but aren’t able to copy the exact shade. Take note that imitations are usually two or three shades brighter or lighter than the original ones. 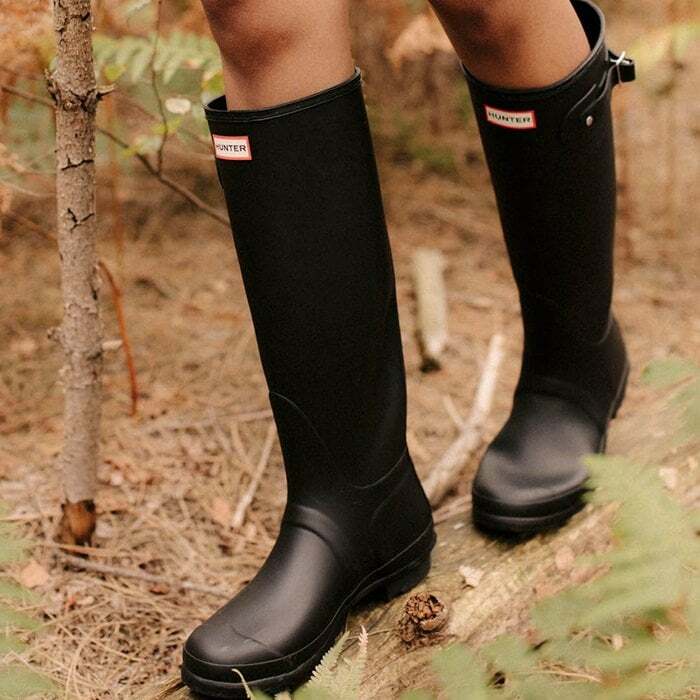 When buying Hunter boots online, it is always recommended to purchase from trusted online retailers. While other smaller sites may offer a cheaper price, established retailers guarantee that the products they carry are genuine. 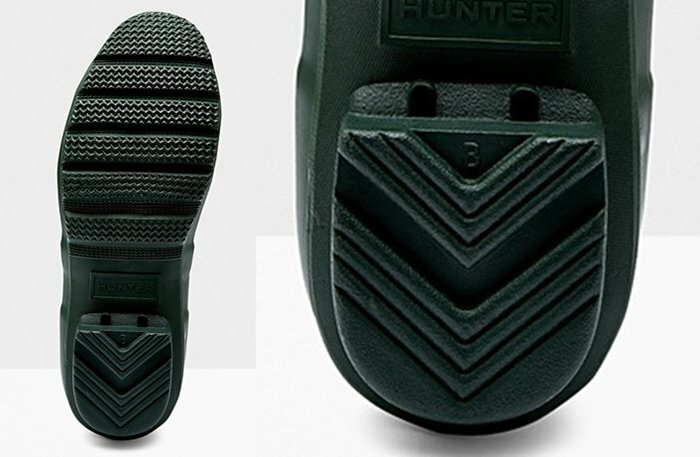 White powdery marks occasionally appear on used Hunter rubber footwear. This happens when insoluble particles begin to rise on the surface. While this may surprise you, it is actually a mark of high-quality natural rubber, and you should therefore not be worried. With the use of Hunter’s boot buffer and boot shine, a pristine finish can easily be restored. Genuine Hunter boots can be pretty pricey. The original tall boots are around $110, and the other special styles (i.e., shearling-lined boots) can be up to $250. The fake ones, on the other hand, can be extremely cheap. Hunter boots are quite large (especially the tall styles). If you will not be wearing them with thick socks, it is advisable to order one size smaller for a proper fit.